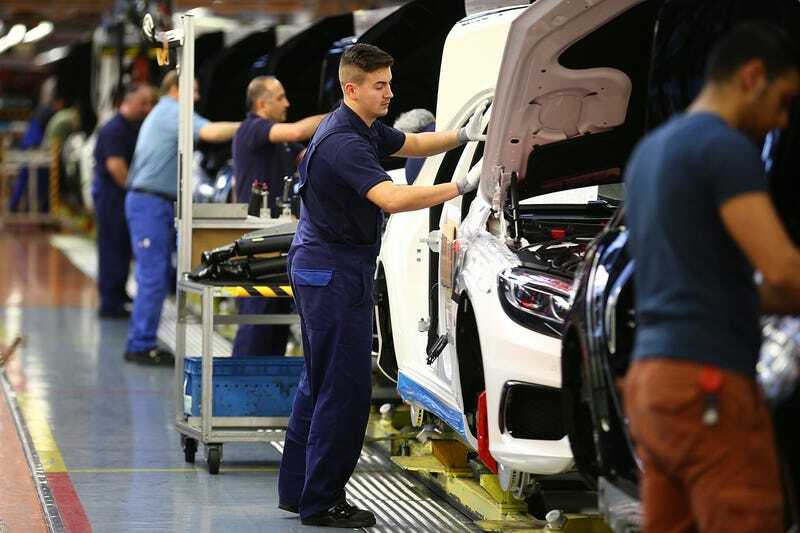 With all of the options and features the Mercedes-Benz S-Class and other new models have, the robots on the production line just can’t handle making the cars alone. For that reason, the automaker will trade out some of the machines for good, old-fashioned human labor. Take a moment to appreciate that one. The Sindelfingen plant rolls out over 400,000 vehicles per year according to Bloomberg, and the process can be much faster with people—even before customization. Rather than taking weeks to reprogram the robots for shifting assembly patterns, the manufacturer can shift the line in a weekend or so. BMW AG and Volkswagen AG’s Audi are also testing lightweight, sensor-equipped robots safe enough to work alongside people. The edge they’re seeking is to be better and faster than rivals as the pace of change affecting the auto industry quickens. In a time when the technology keeps getting more advanced and the robots keep becoming more human, it’s comforting to know that some companies still put things into the hands of our fellow humans. Score one for Mercedes—and the others—in keeping this world from living out the Terminator plot line.